Do you need someone to answer the phones for your company's support calls? Do you need multilingual coverage for any language? We can do that. Our Teleinterpreters are available 24 hours a day, 365 days a year, in 153 different languages. Need coverage for those occasional weekend or holiday calls? When your valuable customers are calling a call center for support, this requires the latest technology to guarantee their satisfaction. When your customers need to know where their closest dealer is located. 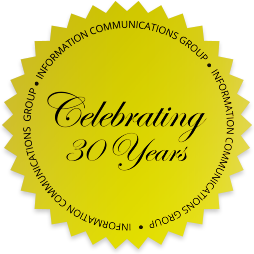 Information Communications Group staff members have been providing Level 1 and 2 Customer Support for over 12 years to Trimble Navigation, a global GPS company. Our staff provides support for over 900 products and interfaces with the company support engineers all over the globe. We can assist a caller using the company dealer locate software if this is a viable option. It is all about supporting our client with the goal of superior customer service. Our call center is staffed 24 hours a day, 365 days a year with multilingual, professional agents. We are 100% web-centric -- we can interact with your callers while interfacing with any online resource. Our technology provides rock-solid reliability and our Digital Voice Recorder provides you with the assurance that your callers' experiences are available for your review. Contact us anytime for more information. We’ll help put your communication plan into action.